Centrally-divided One Pager for Sketchframes – a hand-sketch-style, Bootstrap-based UI Kit for Sketch App. 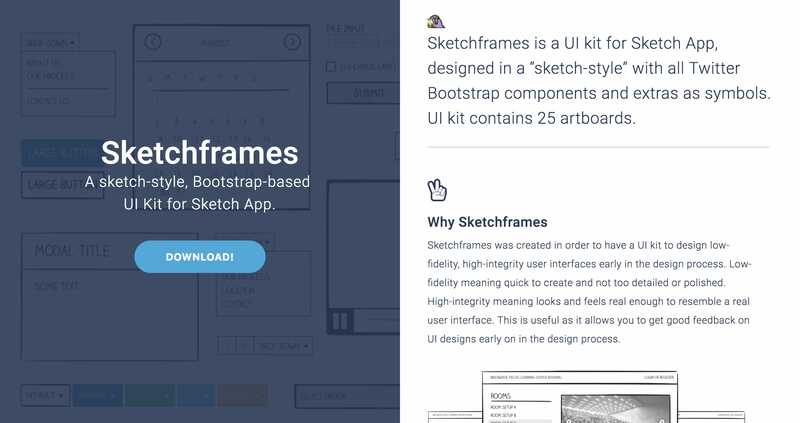 Sketchframes was created in order to have a UI kit to design low-fidelity, high-integrity user interfaces early in the design process. Low-fidelity meaning quick to create and not too detailed or polished. High-integrity meaning looks and feels real enough to resemble a real user interface. This is useful as it allows you to get good feedback on UI designs early on in the design process.